Alzheimer's disease is a progressive neurologic disease of the brain that leads to permanent loss of neurons and logical abilities, including memory and reasoning, taking a form stern enough to obstruct social or professional performance. A large population witnessed the slow deterioration of the mind of their loved ones through Alzheimer's as they grow in age. It is the most common form of dementia and causes steady loss of memory and judgment, difficulty in concentrating and changes in personality. This disease besides affecting the mind of the person, affects every aspect of a person's life. According to the University of Maryland Medical Center, approximately 5 million people in United States are affected by Alzheimer’s disease. According to the Centers for Disease Control and Prevention, it is the sixth most widespread cause of death in the United States that caused roughly 74,600 deaths in year 2007. Deaths from Alzheimer's disease have risen by 68% from 2000 to 2010. 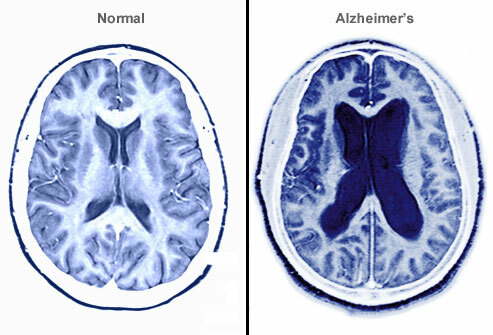 Alzheimer's disease is also known as Senile Dementia of the Alzheimer Type (SDAT). Dementia was earlier considered as disease of the aging however this form of dementia is evident in even younger individuals at an upsetting rate. This is mainly due to static lifestyles, poor diets, long-term chronic stress and other environmental factors. During this disease, plaques and tangles are developed within the brain structure causing the brain cells to die. Patients suffering from Alzheimer's are also deficit in the levels of some critical brain chemicals which are involved with the transmission of messages in the brain, neurotransmitters. Protein tangles known as tau amasses strangle neural synapses that obstruct the vital flow of neurotransmitter and electrical signals needed to form memories and personality. 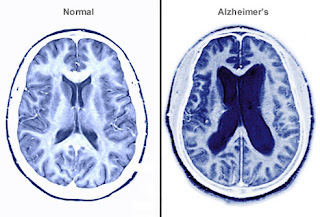 In November 2012, researchers from the University of California reported at the yearly convention of RSNA (the Radiological Society of North America) that people leading dynamic and active lifestyles are more expected to decelerate the progression of Alzheimer's disease whilst active people who are free from Alzheimer's have a lesser risk of developing the disease or any kind of dementia. Though many factors play a role in the development of Alzheimer's disease including static lifestyles, maladjusted behaviors, mood changes, lack of stimmulent congnition, genetics and exposure to toxins, some nutritional deficiencies might also augment the risk of the disease. Alzheimer's disease can sometimes be difficult to diagnose since each patient experiences unique signs and symptoms. Also the signs and symptoms of Alzheimer's disease are very much similar to many other conditions and diseases. Many doctors use 7 stages of diagnostic framework since most patients take from 8 to 10 years to advance through all the seven stages. Stage 1: No cognitive impairment. Stage 2: Very mild cognitive impairment. Individuals are aware that they are having memory lapses, such as misplacing keys, forgetting familiar words. There are no deficits obvious to friends, family or co-workers. Stage 3: Mild cognitive decline. Others begin to notice deficiencies, clinically measurable loss of retention of reading material. Stage 4: Moderate cognitive decline – Mild or Early stage AD. Clear-cut deficiencies, such as knowledge of recent events, impaired math ability, difficulty with complex tasks, forgetting one's own history, withdrawal from challenging situations. Stage 5: Moderately severe cognitive decline – Moderate or mid stage AD. Major gaps in memory and deficits in cognition, difficulty with day-to-day functioning. Stage 6: Severe cognitive decline – Moderately severe or mid stage AD. Memory continues to worsen, personality changes may emerge, the need for assistance with Activities of Daily Living (ADLs), disruption of sleep cycle, incontinence, significant personality changes, wandering. The main cause why Alzheimer's disease cuts downs people's life expectancy is not typically due to the disease itself but due to complications that arise from it. Since patients become incapable of taking care of them, the development of any illnesses such as an infection, are more expected to swiftly get worse. It becomes harder for the caregiver to identify complications since the patient gradually becomes less able to tell about the poor health, illness or pain. Examples of ordinary complications which may result in death of patient with severe Alzheimer's disease are pneumonia and pressure ulcers. There are numerous factors which are considered to be associated to an increased risk of developing the disease. Age - Risk of developing Alzheimer's doubles every five years after the age of 65. Even though Alzheimer's is largely a disease associated with the old age, some young individuals may also develop it. The Canadian Medical Association Journal stated that the risk of developing Alzheimer's between ages 65 to 74 is 1 in 100, ages 75 to 84 is 1 in 14 and age over 85 is 1 in 4. Family history – Studies reveal that people who have a close family member suffering from Alzheimer’s disease have a slightly higher risk of developing the disease. Merely about 7 percent of all incidents are linked with genes that lead to the early onset inherited familial form of the disease. And those who do become heir to the condition, it may onset at an earlier age. Down's syndrome - People having Down's syndrome possess an additional replica of chromosome 21, which holds a protein that is present in the brain of people with Alzheimer's. Since such people have a huge amount of this protein as compared to others, their risk of developing the Alzheimer’s disease is more. Mild cognitive impairment - A person who is suffering from mild cognitive impairment has memory problems. The memory of the patient is poorer than that of other healthy people of the same age. It has been found that a high percentage of people with mild cognitive impairment develop Alzheimer's. However astonishingly, a UK study revealed that people with mild cognitive impairment are at lesser risk of developing dementia than earlier thought. Atrial fibrillation - It is muscular twitching and lack of coordination in the atria of the heart. A study conducted on more than 37,000 patients noted a strong association between atrial fibrillation and the development of Alzheimer's disease. Risk factors of Heart disease - People under the risk factors of heart disease such as high blood pressure or hypertension, high cholesterol and poorly controlled diabetes, also have a higher risk of developing Alzheimer's. It is called a lifestyle factor and eating a well balanced nutritional diet, doing regular exercise and taking proper sleep will likely eliminate these factors. At times these factors have nothing to do with lifestyle, in such cases proper control and treatment of the condition helps reduce the risk of developing Alzheimer's. Processed foods and fertilizers – The results of a study done by researchers at Rhode Island Hospital established a considerable relationship between increased nitrates levels in environment and food and increased mortality rate from diseases such as Alzheimer's, diabetes and Parkinson's. The study gazed at gradual increases in human introduction to nitrates, nitrites and nitrosamines through processed and preserved foods plus fertilizers. 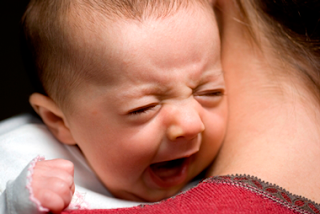 Stress – Stress can also increase the likelihood of developing the disease. Some researches have already highlighted a potential link between chronic stress, cognitive decline and the development of Alzheimer's. Fructose and Insulin Level - ‘A high fructose diet over the long term alters your ability to learn and remember information,’ says research leader, Fernandez Gomez-Pinilla, a professor of neurosurgery. Fructose intake in the body must be kept below 25 grams per day. This toxic effect is serving as the chief controller of brain toxicity. Since the intake by regular person is beyond this recommendation by 300 percent, thus this is a persistent and serious issue. Try to maintain fasting insulin levels less than 3. This is indirectly related to fructose, as it will clearly lead to insulin resistance. Other diseases and conditions – Some other diseases and conditions that have been associated with a higher risk of developing Alzheimer's are some chronic inflammatory conditions, historical episodes of clinical depression, strokes or mini-strokes and obesity. Mental & Physical Exercise Daily - Many researchers have shown that mental challenge helps to build up your brain, making it less susceptible to the damage associated with Alzheimer's disease. Mental stimulation, especially learning something new, such as learning to play an instrument or a new language, is associated with a decreased risk of Alzheimer's. Research also shows that people with Alzheimer's have less PGC-1alpha in their brains - the production of which is increased by exercising daily - and cells that contain more of the protein produce less of the toxic amyloid protein associated with Alzheimer's. Coconut Oil - It is among the most touted solutions for people suffering from Alzheimer’s disease. The power of coconut oil is normally associated with repairing and restoring the brain health. Ketones act as an alternative energy source for brain cells when brain cells have difficulty using glucose which is common in patients with dementia. Coconut Oil helps the body in production of ketons. The body when metabolizes medium-chain triglycerides derived from coconut oil, it forms ketones that may defend against and even reverse Alzheimer’s. Marijuana - Marijuana has been found to yield better results than drugs for Alzheimer’s disease. A study carried out by Skaggs Institute for Chemical Biology established the potential benefit of psychoactive component of marijuana, tetrahydrocannabinol (THC) in inhibiting the enzyme acetylcholinesterase (AChE) in addition to preventing AChE-induced amyloid ß-peptide (Aß) aggregation. In other words, cannabinoid molecules contained in cannabis could avert the progression of Alzheimer’s disease and ward off plaque upsurge in the brain. Many drugs available in the market today, deal with symptoms of Alzheimer’s by aiming and inhibiting the AChE enzyme, a neurotransmitter. This results in reduced levels of AChE, thus consequentially results in reduced symptoms. Coffee – In a paper published this year in the Journal of Alzheimer’s Disease exhibited that higher caffeine levels in plasma were linked with a diminished or postponed onset of dementia. This is assumed to be due to coffee intake. This study provides the former direct proof that caffeine or coffee intake is related with a decreased risk of dementia or delayed onset. Cinnamon – A study has made evident the benefits of cinnamon bark inhibiting the compounds found in the plaque formations of Alzheimer’s patients’ brains. Other studies have also found that the aroma and taste of cinnamon affects the concentration, memory and other intellectual qualities almost rapidly. The studies used cinnamon gum and when investigated against other scents including jasmine, peppermint, and cherry, only cinnamon was revealed to increase memory scores. Eat a nutritious diet – Diet rich in folate and natural brain foods should be included in nutrition plan. Many foods like omega-3 fatty acids found in fish, anthocyanin in berries, greens, and nuts, vegetables and fruit sourced flavonoids, improve memory and brain performance. Strict vegetarian diets have discovered to increase the Alzheimer's risk, while diets high in omega-3s reduce the risk. However, vegetables are best form of folate and one should eat ample of fresh raw vegetables every day. Antioxidants such as alpha-lipoic acid may also help protect the body from dementia. Foods mainly rich in antioxidants are berries, citrus fruits, cantaloupe, mangoes, papaya, guava, apples, red grapes, plums, tomatoes, leafy greens, bell peppers, brussels sprouts, cabbage, broccoli, artichokes, asparagus, baked potatoes, sweet potatoes, carrots and winter squash. Eat a host of fresh fruits and vegetables regularly to achieve maximum benefits. Diets rich in fish can lower your chances of getting Alzheimer's disease. Several forms of fish that are healthy for the brain and can keep memory sharp are tuna, mackerel and salmon but one should also watch for heavy metal toxicity in them. Olive Oil - The Alzheimer's Research and Prevention Foundation suggests that 20 percent of the calories in the diet are received from healthy unsaturated fats such as olive oil so as to help prevent Alzheimer's. The Fisher Center for Alzheimer's Research Foundation affirms that healthy fats may boost the functions and health of the brain. Blueberries and Spinach - Blueberries are a super food that is high in nutrients such as antioxidants that can reduce the risk of Alzheimer's and other diseases. Blueberries have antioxidants vitamin E and C and also several other nutrients that can help to reduce deterioration caused by free radicals and thereby slowing the aging process and lowering memory loss. Plant foods such as spinach can decrease inflammation that worsens brain function. The Alzheimer's Research and Prevention Foundation affirms that since spinach has so many vitamins and minerals, it is also a super food. High-quality omega-3 fats - High intake of the omega-3 fatty acid such as krill oil is linked with improved heart health and brain function. It helps by preventing cell damage caused by Alzheimer's disease, thus delaying its progression and lowering the risk of developing the disorder. Vitamin E – Even though scientists are careful about stating with any sureness that vitamin E may have preventive effects on Alzheimer’s disease, but recent studies have demonstrated promising results. According to Reuters, elderly people who take more vitamin E in their diet may be at a lesser risk for the degenerative disease. Scientists discovered this in a study that assessed the effects of vitamin E over a longer period of time. The research signifies that to prevent Alzheimer’s disease, vitamin E should be one of many vitamins that should be included in the diet. Natural sources of vitamin E are greens including mustards, turnips, collards, kale, chard, and spinach; sunflower seeds, almonds, bell peppers, papaya and avocado. Vitamin B12 - Alzheimer's is a degenerative disease, which may have its onset originating from a lack of vitamin B-12 inhuman body. An infant is born with serum levels of B-12 at roughly 2,000 pg/ml. This level often drops progressively all through life, due to adherence to common Western diet. The vitamin is heat sensitive, thus normal cooking can wipe out up to 90 percent of its worth. Even though animal and dairy products are a prevalent source, the natural soil microbes and bacteria found on wild food such as unwashed garden plants are generally sufficient to cater many of body’s vitamin B12 needs. Vitamin B12 is water soluble, so if taken in excess the body will simply excrete the excess and there are no proven side effects. Each unit increase of vitamin B12 reduces the risk of developing Alzheimer's by 2 percent. Very high doses of B vitamins have also been discovered to cure Alzheimer's disease and limit memory loss. Vitamin D - Vitamin D may, help vacuum out plaques in the brain linked with the Alzheimer's disease. It may help avert and even reverse the upsurge of amyloid beta plaques in the brain that are linked with Alzheimer's disease. According to recent researches, deficiency of vitamin D has been assumed to play a role in both Alzheimer's disease and age-related memory problems. Zinc-Rich Foods - Zinc is a mineral required by body in trace amounts for healthy cell metabolism, immune system function, wound healing and senses of taste and smell. Increasing zinc intake may improve the memory. As human body cannot retain zinc, so it must be consumed daily. Foods rich in zinc are oysters, beef, pork, chicken, lobster and fortified breakfast cereals and foods with moderate amounts of zinc include yogurt, milk, cheese, beans, almonds and oatmeal. People following western diet may not get sufficient nutrients the body needs every day. Therefore, it is recommended to take vitamin and mineral supplements daily. Taking the antioxidants vitamin C and vitamin E everyday together with Coenzyme Q10 is recommended for memory function. Gingko Biloba - shows the best evidence for treating early Alzheimer's disease. If you are taking blood thinning medication, use ginkgo only under the supervision of your doctor. Ashwaganda - Researchers at the National Brain Research Centre (NBRC), have conducted studies on mice that suggest ashwaganda extract can reverse memory loss and improve cognitive abilities in those with Alzhiemer's disease. Ginseng - Studies have shown that it reduces cell death in Alzheimer’s disease in animal studies. Lemon balm -Professor Elaine Perry of the University of Newcastle tested the effect of balm on the enzyme and receptors responsible for helping the molecule acetylcholine transmit nerve signals. Cat’s Claw - Studies show that it dilates blood vessels, which makes it helpful for who don’t get enough blood flow and therefore oxygen in their brain cells. Brahmi - Used in Ayurvedic medicine, it improves brain function and learning. 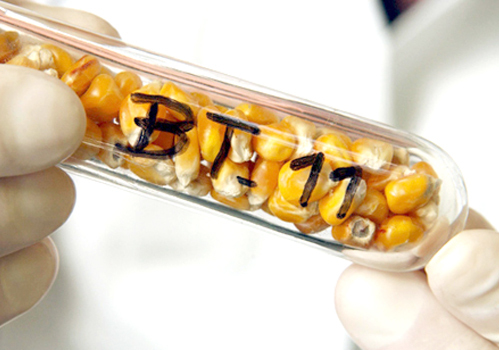 On 26th March 2013 - President Barack Obama from the Genetically Modified Land of Liberty signed the H.R. 933 bill containing Monsanto Protection Act into law, stripping down the spirit of the Judicial System and the health of perhaps half of the world who is blindly being fed these dangerously modified foods. In the past, legal advocates have successfully won in court the right to halt the sale and planting of unapproved GMO crops while the safety of those crops was under review by a federal judge. The “farmer assurance provision” however, currently included in the FY2013 Agriculture Appropriations bill, strips the rights of federal courts to halt the sale and planting of genetically engineered crops during the legal appeals process, no matter what health issues may arise concerning GMOs in the future. This protection is very important to the handful of companies who's lobbyists had worked diligently (in their backroom dealing) with Whitehouse Senators to slip this rider without appropriate review by the Agriculture or the Judiciary Committees. What even more surprising are the reports that the piece was unknown to most Democrats (who hold the majority in the Senate) prior to its approval as part of HR 993, as to avoid a federal government shutdown. As reported by the Washington Times, the provision’s success is viewed by many as a victory by companies like Syngenta Corp, Cargill, Monsanto and affiliated PACs that have donated $7.5 million to members of Congress since 2009, and $372,000 to members of the Senate Appropriations Committee. Passing of this bill is an important point in history to be marked as how corporate giants have such power over their 'diapered governments' that they can safeguard their immunity from even the judicial review process which is supposed to be an essential element of U.S law and serves as a vital check on any Federal Agency decision that may negatively impact human health, the environment or livelihoods. Since the passing of the act, some good citizens have signed petitions opposing the provision. If you are a responsible American who understands the severity of this topic, I urge you to do the same. The thyroid gland is a butterfly-shaped endocrine gland located in the anterior part of the neck. It releases thyroid hormones controlling metabolism which regulates many bodily processes such as heartbeat, body weight, body temperature, energy level, muscle strength and menstrual regularity. The thyroid produces and liberates two hormones thyroxine (T4) and triiodothyronine (T3) which controls the body's metabolism rate - at which vital reactions of body are carried out. When the level of thyroid hormones (T3 & T4) drops too low, the pituitary gland produces Thyroid Stimulating Hormone (TSH) which stimulates the thyroid gland to produce more hormones. The hypothalamus (part of the brain) produces TSH Releasing Hormone (TRH) which tells the pituitary gland to stimulate the thyroid gland. Body’s immune system is continuously under assault from toxins that come from air, water and food supply. These toxic pollutants over-stimulate the immune system, produce auto-immune reactions and smash up thyroid functions. Without a healthy thyroid gland, the body processes such as protein synthesis, regulation of body temperature and oxygen consumption of the cells would not occur efficiently. Hence, a poor diet and poor choice of lifestyle can deteriorate the functioning of thyroid and due to this reason whole body will suffer. Thyroid disease is any ailment that is caused by abnormal functioning of thyroid gland. Potential thyroid diseases comprise of disorders that lead to overactive thyroid, ailments that cause low functioning thyroid, thyroid nodules, thyroid cancer, and goiter (swelling of thyroid gland and neck). The thyroid gland can be distressed by several diseases that hamper or deteriorate the function of the gland. The occurrence of thyroid disease or disorders is more prevalent in women than in men. Roughly around 20 million Americans have been diagnosed with some form of thyroid disease. These diseases may not be easy to diagnose since the symptoms of thyroid diseases such as fatigue and weight changes may easily be confused with other health ailments. Hyperthyroidism - This disease is characterized by overproduction of thyroid hormones and it may be caused by Graves' disease, thyroiditis, exposure to radiation, toxic thyroid nodules and overstimulation of the thyroid gland by pituitary hormones. Hyperthyroidism expedites the pace of body processes. Signs and symptoms of this thyroid disease are weight loss despite of increased desire for food, intolerance to heat, a distented thyroid gland, amplified heart rate, anxiety and uneasiness, anomalous heart rhythms, increased level of activity although a person is exhausted, shaky and has difficulty in sleeping. Hypothyroidism – This disease is characterized by underproduction of thyroid hormones and in this the body processes progress slower than usual. This hormonal disorder is caused by Hashimoto's thyroiditis, silent lymphocytic thyroiditis, subacute thyroiditis, surgical removal of the thyroid gland, exposure to radiation treatment used to treat hyperthyroidism, hereditary diseases and a diet lacking iodine. Several signs of hypothyroidism are decelerated speech, a rough voice, tedious facial expressions, weight gain and intolerance to cold temperatures. Inflammation of the thyroid gland – Thyroid disorders that are characterized by inflammation of thyroid gland are generally termed as Thyroiditis. Some of the thyroid conditions that result in inflammation of the thyroid gradually destroy the cells of the thyroid resulting in low levels of thyroid hormone or hypothyroidism. In other conditions the cells in the thyroid are destroyed rapidly, resulting into release of all the stored thyroid hormones at once, this thyroid disorder is called thyrotoxicosis. The symptoms of thyrotoxicosis and hyperthyroidism are very similar and include anxiety, sleeplessness, augmented heart rate, fatigue and weight loss. Hashimoto's thyroiditis is the most widespread source of hypothyroidism which occurs when the cells of the body's immune system assault the cells of the thyroid gland. In this process, the cells of the thyroid are damaged leaving the body with poor levels of thyroid hormone. In response of this event, the pituitary gland which generally produces thyroid stimulating hormone (TSH) produces extra than normal TSH to stimulate the thyroid to produce more thyroid hormones. This causes severe inflammation of the thyroid and the condition is known as a goiter. Post-partum thyroiditis results in inflammation of the thyroid, which further causes thyrotoxicosis subsequently resulting in a phase of hypothyroidism. This condition is frequently impermanent and nearly 80 percent of patients return to a normal thyroid function within 12 to 18 months. Lack of Iodine – The only cells in the body that absorbs iodine are the cells of the thyroid gland. Iodine is essential for the production of thyroid hormones and deficiency of iodine can result in thyroid disease. When iodine is not present in body in enough amounts the thyroid gland expands to absorb more iodine. Thus enlargement of thyroid gland results in goiter which is a condition of not being able to produce enough thyroid hormone, thereby resulting in hypothyroidism. Thyroid Cancer - Thyroid cancer is an uncommon form of cancer when compared with all other types of cancer. It is the anomalous growth of cells in the thyroid causing a tumor. 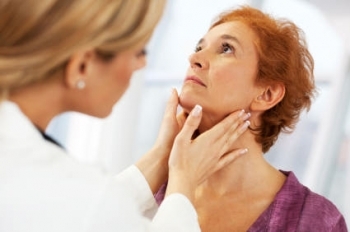 There exist four types of thyroid cancer each of which can result in thyroid disease. According to the National Cancer Institute, the most common type is papillary thyroid cancer which accounts for 80 percent of all the thyroid cancer cases. The next most ordinary type is follicular thyroid cancer. Other two types are medullary thyroid cancer and anaplastic thyroid cancer. A protuberance in the neck called a thyroid nodule indicates the presence of thyroid cancer. The nodule may or may not weaken thyroid function however some nodules may result in over-secretion of thyroid hormones. Thyroid cancer is linked with a number of conditions like genetics, exposure to pesticides and exposure to radiation, but the exact cause of most thyroid cancers is not yet known. Pituitary Tumors - The pituitary gland is a part of the brain that produces thyroid stimulating hormone (TSH) which further controls the production of the thyroid hormones in the thyroid gland. However the production of TSH can be intervened by the presence of an adenoma, a noncancerous tumor, in the pituitary. The tumor may stimulate an overproduction or may restrain the production of TSH, resulting in hyperthyroidism and hypothyroidism respectively. Thyroid stimulating hormone (TSH) released by the pituitary gland regulates secretion of thyroid hormones. So measuring the amount of TSH in blood through blood tests together with any symptoms, are used to diagnose hyperthyroidism or hypothyroidism. To diagnose thyroid cancer, a sample of any nodules that are there in the thyroid gland is aspirated and then examined under a microscope. If thyroid problems are not treated on time and in a proper way then it may result into several health complications. If a person shows the characteristic symptoms of thyroid disease then it is recommended to visit a health care expert. Dietary supplementation is a significant part of thyroid disease cure plan however supplements should be used only under the supervision of a licensed health care expert. A common natural health therapy to the treatment of thyroid disease is nutritional support, mainly nutritional supplements. Nutritional supplements for treatment of a low-functioning thyroid gland are kelp, tyrosine, raw thyroid glandular, vitamin B complex and gentian. And those for an overactive thyroid gland are brewer's yeast, vitamin B complex, essential fatty acids and lecithin granules. The highly featured nutritional supplement is Vitamin B complex as it is most useful in treating thyroid disease. These vitamins belong to a class of water-soluble vitamins that have similarities in their constituents, distribution in natural sources and their effects within the body. B vitamins are essential for several body processes such as cellular oxygenation, synthesis of red blood cell and proper functioning of thyroid gland. Vitamins B-2 and B-12 may be chiefly imperative for these health functions. Increasing the consumption of iodine - Several clinical studies have revealed that almost all the cases of thyroid dysfunction have been detected with severe iodine deficiency, which may be the cause of dysfunction. But eating salt or supplement with iodine in enough amounts is not adequate. 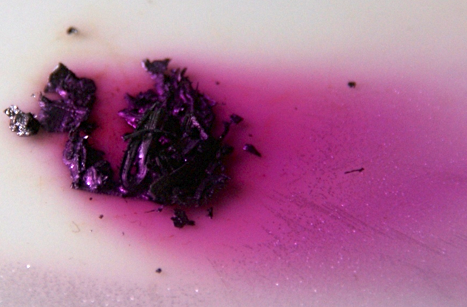 Getting the right kind of iodine is essential to yield a positive result. Commonly used spot iodine skin test is not an accurate test to assess the iodine amount in body. Instead, use of spot urinary iodine test, which test the morning urine to assess the amount of iodine, is an efficient method. Or, other test is 24 hour iodine loading test, which indicates how much iodine has been excreted and retained. Once the tests confirm the deficiency, it is suggested to consult a holistic medical professional. Iodine promotes the thyroid function and possibility exists that increasing the amount of iodine in the diet can control thyroid disease. Some of the main food sources of iodine are arame, kelp, dulse, nori, wakame and seaweed. In spite of this, just as inadequacy of iodine can lead to impairment of proper thyroid function, same can be encountered with excess iodine. So before adding more iodine to the diet, one should consult a nutritionist. To know more about Iodine and its sources, please click here. Minerals - There are also exists some minerals that may improve the function of the thyroid. Some of these minerals are calcium, iron, zinc, copper, manganese and thullium. By increasing the consumption of these minerals in the daily diet, it may enhance the vital metabolic functions of the thyroid. Selenium - Selenium is another useful natural therapy if a person is suffering from hypothyroidism because the body deficits selenium. A body requires selenium so as to transform the T4 thyroid hormone into the active T3 form. Coconut Oil – Use of coconut oil while cooking is another suggested natural remedy for thyroid disease. The reason of using coconut oil is that it may indirectly support thyroid function since the fat in coconut oil boosts sensitivity of tissues to thyroid hormones. L-Tryosine - L-tyrosine is an amino acid that can be useful in treating a dysfunctional thyroid. It is suggested as a home remedy for the reason that it aids in increasing plasma levels, which can further help in losing weight. It is also useful since, as an amino acid, it is believed to be a significant building block of thyroid hormone. Prior to adding this amino acid to the diet, one must take consultation of the doctor, mainly if the person is already taking any prescription medications. Even though there are many types of foods, vitamins, and minerals that are considered useful in improving a dysfunctional thyroid, it is important to consult the doctor and nutritionist before adding any of these to the diet. Iodine is a trace element which is found in oceans, the soil and even inside human body. It is required in human body in minute amounts to promote good health. One key purpose of the iodine in body is to convert the food consumed into energy for daily functions. Iodine is also vital for normal thyroid function and without iodine the body will not be able to produce the right amount of thyroid hormones. Deficiency of iodine is a major health concern seen all over the world as iodine content in the soil varies with region. Major resource of the earth's iodine is oceans. Deficiency is surmounted by consuming iodine-rich foods or supplementing with iodized salt. Approximately 70 to 80 percent of the iodine in the human body is within the thyroid gland located in the neck and the remaining is distributed throughout the body. If a person has low levels of iodine in body then it may lead to condition of low thyroid hormone levels or sluggish thyroid activity or hypothyroidism. This could cause symptoms such as fatigue, weight gain, lethargy, skin dryness and temperature sensitivity. But its deficiency in infants and children may lead to more grave health issues such as stunted mental and physical development. If a pregnant woman has iodine deficiency, then the baby is at higher risk of stern psychological impairment, speech and hearing defects, dying early and being stillborn. Studies estimate that at least five percent of the population suffers from hypothyroidism. Further, without sufficient protection from iodine, a person is more vulnerable to radiation damage. A lack of iodine in body can make it difficult to perform proper detoxification the body; lead to thyroid dysfunction and promote cancer cell growth. In the 1920s, goiter or enlarged thyroid gland, which is the gland's response to inadequate iodine in the blood, was a widespread health problem until iodine was added to salt. However nowadays several people have limited the consumption of iodized salt and added chlorine, fluoride and bromide to their diets. The problem that has arisen is chlorine, fluoride and bromide lower natural iodine levels within the body by blocking iodine receptors. However, all these three elements are extremely deadly for the thyroid and unsafe for the rest of the body. Bromide can cause depression, headaches, hallucinations or even schizophrenia. And there are no long-term studies that demonstrate useful effects of fluoride on human health. Some Sodas and Bakery products such as bread and pastries may contain bromides generally used by most commercial bakeries. Bromine lower iodine levels in the thyroid gland. Observational studies propose that there is a solid association between thyroid dysfunction and breast cancer. Presently in America, one in seven women will develop breast cancer during her lifetime. However, thirty years ago when iodine consumption was much high than today, one in 20 women used to develop breast cancer. Women in Japan, who consume high levels of dietary iodine, have much lesser rates of breast cancer and thyroid problems. These are some of the reasons essential to preserve optimal iodine levels in body by supplementing or consuming foods rich in iodine. The major role of iodine is as a component of the thyroid hormones triiodothyronine, or T3, and thyroxine, or T4, the hormones that are produced in the thyroid gland. In the body T4 is transformed to the metabolically active form T3 which controls gene expression and consequently regulates metabolism, growth and reproductive function. Iodine is also vital for fetal and infant development, particularly cognitive development. Just as inadequacy of iodine can lead to impairment of proper thyroid function, same can be encountered with excess iodine. According to the Institute of Medicine, the recommended daily consumption of iodine is 150 micrograms in adolescent and adult males and females. Expecting and breast-feeding mothers should take 220 and 290 micrograms each day, respectively. Infants up to age 6 months should consume 110 micrograms daily, while babies between ages 7 to 12 months should have 130 micrograms each day. Children between ages 1 to 8 should have an intake of 90 micrograms daily, while those between ages 9 to 13 should have an intake of 120 micrograms daily. Seafood is the chief source of iodine in the diet, mainly fish including cod and shrimp, and edible seaweed. Since iodine is normally added to livestock feed, so dairy is also a source of iodine. Terrestrial plants for instance beans and potatoes can be sources of iodine depending on the iodine content of the soil in which they are nurtured. • Shell fish contain high quantity of iodine. However, due to increase in ocean pollution, shellfish sources should be examined carefully before purchasing and consuming. Farmed shrimp are also often toxic. • Seaweed such as Kelp is another food that contains high amounts of iodine. Kelp is also in form of supplement tablets. Brown seaweed is another source. • Organic, virgin cold pressed coconut oil contains iodine combined with other nutrients to enhance thyroid action. It can be used in cooking, baking, in smoothies or merely taken as a supplement. • Himalayan Crystal Salt is a brilliant source of naturally existing iodine. One gram of Himalayan salt contains about 500 micrograms of iodine. One should be cautious when buying from health food stores that sell products labeled sea salt as they may be impelling some toxic, processed salt. • Other useful foods are organic butter, particularly ghee, egg yolks and cod liver oil. • All fermented foods have both thyroid and probiotic benefits, so they are beneficial for health. Avoid non-fermented soy products as they can be unsafe to thyroid health. Whether supplementing or consuming foods rich in iodine, it is vital to solve an iodine deficiency in the body. To know more about Thyroid related Disease, please click here. ADHD or Attention Deficit Hyperactivity Disorder is considered to be a neuro-behavioral disorder that can affect up to roughly 5 percent of the total world population. This is a chronic disorder which is described by constant impulsiveness, inattention or lack of focus (especially in school going children), forgetfulness and associated hyperactivity. Children and teens with ADHD often build up survival mechanisms to handle peer pressure that lead to evidence of poor academic performance and hyperactivity. ADHD principally affects a person behavior and cognition, therefore having the disorder has extensive emotional implications. Low self-esteem is very common among women with ADHD and it is the effect of chronic criticism. ADHD earlier called hyperkinesis or minimal brain dysfunction is the most widespread psychiatric state among children. And, more boys roughly twice or thrice as girls, are affected. However in adults, this ratio is 1 to 1 among males and females. Calculating the average number of incidents, at least one child in each classroom in the U.S. requires help for the disorder. Intensity of ADHD can vary from mild, moderate to severe. Diagnosis of ADHD is more difficult to ascertain in women and girls as they are likely to be less hyperactive, less rebellious and more accommodating. The nonappearance of disturbing behavior also defers detection of ADHD in girls. The statistics given by the National Attention Deficit Disorder Association reveal nearly 2/3rd of children with ADHD will persist to face major challenges caused by the disorder in the later stages of life or when they are adults. Follow-up studies on children with ADHD reveal that about half will carry on having symptoms into adulthood. When diagnosed with ADHD, several people summon up painful or difficult childhood experiences they went through in school which were possibly caused by ADHD, however at the time were attributed to sluggishness or lack of ability. 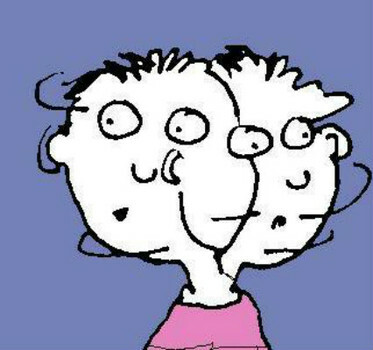 Presently, people who display chronic, monotonous and persistent symptoms across a number of settings, ADHD diagnosis are made in those people. Though people are identified with a few of these symptoms at different times in their lives, ADHD is a disorder that onsets in childhood and may persist into adulthood. Childhood onset is the only foundation of the diagnosis and adult onset ADHD does not exists. Early onset ADHD is diagnosed when symptoms appear before the age of 7. Parents and teachers may face a difficult time discriminating standard child behavior problems with those that are ruthless enough to be categorized as ADHD. To attain diagnostic level, a combination of the symptoms mentioned above should be there for at least six months and should exhibit a harmful effect on the child's home, school or social life. According to the report of the Center for Disease Control, 7 percent of children between the ages of 5 and 17 are identified with the ADHD disorder. Even though various causes for this disorder have been identified over the years, the principal factors are genetics, brain structure and environmental risks. Genetics – The research conducted by National Institute of Mental Health demonstrates that ADHD have a tendency to run in families. A child's genes are the strongest analyst of the occurrence of the disorder. Children whose parents or siblings have been identified with ADHD disorder have a much greater possibility of being analyzed themselves. Various researches are striving to identify the precise genes implicated in the disorder. Since 2010, genes associated to the dopamine system are assumed to play a significant role in the regulation of attention and behavior inhibition and have been implicated in the occurrence of ADHD. However, further research is required to recognize particular genes. Brain Structure - The prefrontal cortex is used to manage executive functioning such as the ability to receive and process information, shift from one task to another, plan, manage and accomplish goals. Children with ADHD find it difficult to do all this, signifying that they have shortfalls in the performance of this area of the brain. Another implicated area of the brain is the basal ganglia which are linked to executive functioning such as passing information related to attention, action and memory to the brain. Children with ADHD have confirmed anomalies and under-activity in the basal ganglia section, with signs of improvement when stimulant medications are used that effect this area of the brain. These revelations suggest that shortfalls in this area are associated with the limitations in performance of children with ADHD. Environmental Risks - There also exist environmental aspects that can play a role in the development of ADHD. According to the National Institute of Mental Health, both alcohol consumption and cigarette smoking during pregnancy can lead to the development of ADHD. 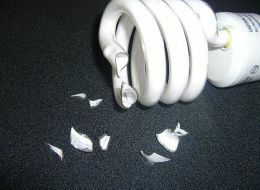 In addition, exposure to lead has also been associated with its development. An additional danger during pregnancy is fetal oxygen scarcity, which may affect areas of the brain accountable for executive functioning and inhibiting behaviors. Other Possible Factors – In addition to above factors, the National Institute of Mental Health also illustrates two other factors believed to impact the development of ADHD. Refined sugar has been indicted of aggravating the symptoms of ADHD however research has revealed that children given sugar and sugar substitutes demonstrated no variations in their behavior. Further research has investigated the belief that food additives like preservatives and artificial coloring result in increased ADHD activity, but since 2010 it has not yet established that whether they also play a role in ADHD symptoms. Pharmaceutical medicines considerably decrease the hyperactivity along with the ability to focus, work and learn and have kindled a great deal of debate. The majority of health-care providers themselves sense the possible side effects, which should be vigilantly considered against the benefits. Some of the side effects of ADHD drugs are growth suppression, weight loss, high blood pressure, hallucination, psychotic episodes and suicidal thoughts. Therefore, it is important to understand that there exist no direct magic pill or cure for ADHD. Combinations of Medical herbs and health supplements mentioned below along with behavioral therapy, emotional counseling and practical support may yield lifelong gains. This includes providing a suitable classroom setting, in addition to facilitating parents to comprehend and deal with the child's behavior. Behavioral therapies such as group counseling where person with ADHD does not feel that he is the sole person being the victim of ADHD, receives counseling support from fellow group members and experts which significantly boosts the morale of the person with ADHD. Psychotherapy works to help out people with ADHD like and accept themselves regardless of their disorder. In psychotherapy, patient converses with the therapist about disturbing thoughts and feelings, investigates self-defeating patterns of behavior and gain knowledge of alternate ways to deal with their emotions. An improper diet plays a significant role in the developing ADHD-like behavior in children. Completely altering the child’s diet so that no fast food, junk food or processed foods are consumed can prove wonders. IronChanging over from western diet to a diet rich in organic foods will certainly incite unbelievable change in behavior. Additives such as preservatives and artificial coloring agents found in processed foods are poisonous to the body and should be avoided. Additionally, refined carbohydrates should be avoided as they have unconstructive effects on overall health. America’s chief source of calories is cancer-inducing fructose and its consumption induces a less compliant, more hyper child. Removing fructose from the diet will not only diminishes rates of cancer, diabetes, and obesity but will also positively affect children’s behavior. A diet rich in fiber, folate, and omega 3 fats can purposely be consumed to speed up the positive response to a child identified with ADHD. A diet rich in organic fruits and vegetables as well as whole grains should be consumed so as to achieve these health promoting nutrients. Besides this, eating fish with low mercury levels such as flounder, haddock, and salmon and eating wild fish than farmed fish has found to decrease the risk of ADHD. Scientists working at the Stanford Institute for Materials and Energy Sciences (SIMES) have announced a bold innovation in solar energy making it 100 times more efficient than its previous photovoltaic design. Scientists have further claimed on improving - the 100 times better device - yet again by a factor of 10 in the near future which will make it 1000 times more capable than the current technology. What's even bolder is that the process could reduce the costs of solar energy enough to make it competitive with oil while being robustly sustainable. In application PETE could be added to utility-scale concentrating solar power plants, such as multi-megawatt power tower and parabolic trough projects in California's Mojave Desert, to increase their electrical output by 50 percent. Nanostructures of PETE used were made with combination of silicon, silicon carbide, gallium arsenide, doped diamond, and silken-geranium compounds. Other new materials are on the drawing board as the chips must eventually withstand 500 degree Fahrenheit daily temperature swings at solar power plants as they heat up during the day and cool down at night. Autoimmune disease is the consequence of a malfunction in human immune system in which the immune system mistakenly identifies and compels its auto-antibodies to damage its own cells and tissues. A healthy immune system of body identifies unfamiliar attackers by particular protein tags that are present on the membranes of cells. These are known as “antigens”. The human body produces antibodies that clings to these antigens and target the attackers (cancer cells or viruses) for obliteration. In autoimmune disorder body mistakenly take self-antigens, its own proteins, for unfamiliar attackers and commences an immune reaction against itself. The tissues affected differ for different diseases. Joints are affected in arthritis and in diabetes the pancreas are affected. However, the outcome is the same for all diseases, that is, devastation of healthy tissue resulting into failure of function. Autoimmunity is the second top cause of chronic illness, according to the American Autoimmune Related Diseases Association (AARDA) and about 75% of these cases occur in women. Approximately 24 million people in USA are afflicted by this disease in one form or the other contributing to $120 billion health care cost annually. These diseases are hard to cure and lead to a progressive loss of physical and mental function. The bad news is that this disease is increasing at dramatic rates in every modern society. Autoimmune disease is related to almost every known chronic disease from heart disease to cancer, diabetes to obesity, autism to dementia, allergies to asthma, arthritis to depression. Scientists have identified more than 80 clinically distinct autoimmune diseases. Autoimmune diseases of Blood - Autoimmune hemolytic anemia / Pernicious anemia / Polyarteritis nodosa / Systemic lupus erythematosus / Wegener's granulomatosis. Autoimmune diseases of Digestive tract (including the mouth) - Autoimmune hepatitis / Behçet's disease / Crohn's disease / Primary biliary cirrhosis / Scleroderma / Ulcerative colitis / Celiac disease. Autoimmune diseases of Eyes - Sjögren's syndrome / Type 1 diabetes mellitus / Uveitis. Autoimmune diseases of Glands - Graves' disease / Thyroiditis / Type 1 diabetes mellitus. Autoimmune diseases of Heart - Myocarditis / Rheumatic fever / Scleroderma / Systemic lupus erythematosus. Autoimmune diseases of Joints - Ankylosing spondylitis / Rheumatoid arthritis / Systemic lupus erythematosus. Autoimmune diseases of Kidneys - Glomerulonephritis / Systemic lupus erythematosus / Type 1 diabetes mellitus. Autoimmune disease of Lungs - Rheumatoid arthritis / Sarcoidosis / Scleroderma / Systemic lupus erythematosus. Autoimmune disease of Muscles - Dermatomyositis / Myasthenia gravis / Polymyositis. Autoimmune disease of Brain - Guillain-Barré syndrome / Multiple sclerosis / Systemic lupus erythematosus. Hidden infections - Yeast, Viruses, Bacteria, Lyme, etc. Hidden food allergens - IgG food testing. Celiac disease / Gluten intolerance - Blood test. Vitamin D and Magnesium Deficiency Test - Former is extremely important for immune system operations and the later regulates most enzymes in our body. Heavy metal toxicity - Mercury and other metals can cause autoimmunity. While conventional pharmaceutical drugs like Advil, steroids, immune suppressants like methotrexate, and the new TNF-alpha blockers like Enbrel or Remicade can lead to intestinal bleeding, kidney failure, depression, psychosis, osteoporosis, muscle loss, diabetes, infection and cancer; they do not cure the main underlying cause of the disease. Th17 cells are the highly inflammatory cells that appear to play a primary role in the development of autoimmune disorders. Therefore to cure the main cause one must find and eliminate the causes of "Inflammation" in their diet, lifestyle and environment. 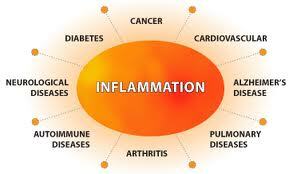 To know more about the Cause of inflammation, please click here. Access Sodium - In recent studies, it has been revealed that the consumption of salt manipulates the balance in immune system by ultimately promoting the excess production of Th17 immune cells. Laboratory tests revealed that salt exposure increased the levels of cytokines released by Th17 cells 10 times more than usual. For more on this study, please click here and for more information on high sodium foods, please click here. Autoimmune disorders occur almost exclusively in developed countries. Interestingly, people in poor nations without modern sterile amenities don't get these diseases. According to a recent research study, exposure to bacteria at early stages of life that is in childhood is significantly vital to ward off autoimmune diseases all through the life. The study showed results that supported the hygiene hypothesis, the idea of significance of bacterial exposure to form a healthy immune system and that leading bacteria-free lifestyles are resulting into increased cases of asthma, allergy and other autoimmune diseases. The study published recently in the journal Science in which comparison was conducted by investigating normal mice with mice nurtured in special germ-free environments, revealed high count of special white blood cells called invariant natural killer T cells (iNKT) in the lungs and intestines of the germ-free mice. These iNKT cells liberate proteins that lead to inflammation and attract further inflammatory white blood cells. Inflammation plays a significant role in numerous autoimmune diseases and iNKT cells are acknowledged to be a considerable factor in asthma, which is in the lungs and ulcerative colitis, an inflammatory disease of the bowel. Hence, the germ-free mice showed more vulnerability to the diseases as compared to the germ-exposed mice. Even when these germ-free mice were exposed to normal bacteria afterward in life, they still had unusually high levels of iNKT cells and diseased lungs and intestines. This signified that an immune conditioning occurs in very early stages of life and is vital for the correct development of the immune system. Bovine colostrum - Bovine colostrum refers to the milk produced by female cows in the first days after they have given birth. Bovine colostrum's high concentration of IgG-type immunoglobulins is especially significant for people suffering from acquired immune deficiency syndrome. Vitamin D – Autoimmune diseases are also more prevalent in countries that are at greater distance from the equator. It may be because of reduced exposure to sunlight as sunlight is a major source of vitamin D. Vitamin D aids in enhancing the body’s immunity, decreasing the possibility of autoimmune disease. Intake of adequate amounts of vitamin D, either by exposure to sun or through ingestion of dietary supplements, may lessen the danger of developing autoimmunity and decreasing severity of disease. The suggested daily intake of vitamin D for adults is 600 to 800 international units. Food sources are fatty fish, liver and eggs. Omega-3 Fatty Acids – Autoimmune diseases typically involve ache and inflammation and it is suggested to eat foods that reduce these processes to offer relief. Including foods that are high in omega-3 fatty acids in the anti-inflammatory diet are recommended to provide relief from inflammation. Sources of omega-3s are salmon fish, sardines, egg yolk, flaxseed, walnuts and leafy green vegetables. The doctors recommend intake of 1 to 2 g omega-3 daily. Fermented Foods - Formation of normal gut flora in the initial twenty days of life plays a significant role in proper development of baby's immune system. Development of abnormal gut flora leaves babies with compromised immune systems and then they are normally vaccinated to avert the risks of disaster. Vaccinations were initially developed for children with absolutely healthy immune systems however children with deranged gut flora are not in shape to be vaccinated as stated by the standard vaccination protocol. Numbers of children nowadays suffer from autism, learning disabilities, neurological disorders, psychiatric disorders, immune disorders, and digestive problems because of a deficit exposure to the beneficial bacteria in early life. The answer to this is to nurture your gut flora with a probiotic-rich diet. Examples of naturally fermented foods that are excellent sources of beneficial bacteria are various fermented vegetables such as cabbage, turnips, eggplant, cucumbers, onions, squash and carrots; yogurt prepared from organic raw milk, fermented soy – natto, probiotic supplements and fermented milk such as kefir. Intake of fermented foods on a regular basis will help to revive the body's beneficial bacteria which are under continuous attack from antibiotics, antibacterial soap, chlorinated water, the metabolic side-effects of anxiety and stress and deprived diet consisting of excessive intake of sugar. Sugar consumption essentially fosters the dreadful or pathogenic bacteria yeast and fungi in gut. Chang Shan - Investigation conducted by researchers from Massachusetts General Hospital (MGH) and the Harvard School of Dental Medicine (HSDM) have revealed that natural Chinese medicine called Chang Shan is useful in treating autoimmune disorders. The team evaluated its active components and observed that one component in particular called halofuginone (HF) which blocks the development of T helper 17 (Th17) cells. Everyday our body deals with never ending assault from a range of sources, from deprived diets to pollution. Our cells, including the brain cells, everyday are assaulted by free-radicals several times a day. This aggressive process is called oxidation which damages the cells of body. In order to fight back our body requires antioxidants which are vitamins and other nutrients that target free radicals. Food mainly fruits and vegetables, is a dominant source of these protectors. Besides external source, our body also produces some itself. Their job is to curb the damage to the cells which can further hold back disease and slow down the signs of aging. Alpha lipoic acid is also one such antioxidant which is produced by the body in small quantities and major source of it is the diet we eat. A few of the best natural sources of this antioxidant are grass-fed red meat and organ meats. Alpha lipoic acid has many useful functions and it is one of the most effectual free radical scavengers. It is the only one antioxidant that can easily get into the brain. It has the ability to revive other antioxidants such as vitamins C, E, and glutathione. Therefore, when all these antioxidants are used up by the body, alpha lipoic acid helps to regenerate them. Glutathione is another very imperative antioxidant which can be obtained from supplements. However, it works effectively only in the reduced form which is hard to absorb when taken orally. It is more lucrative to supplement with alpha lipoic acid that restores glutathione in body. Besides above functions, alpha lipoic acid also reprocesses coenzyme Q10 and NAD (nicotinamide adenine dinucleotide). This powerful antioxidant is also a modifier of gene representation to ease inflammation and also an augmenter of insulin sensitivity. People with diabetics or metabolic disorder are likely to perform much better when receiving lipoic acid. In some parts of world, doctors have effectively used alpha lipoic acid intravenously to reverse ischemia reperfusion injuries by injecting it immediately following a heart attack or a stroke. A research though not performed at large scale, shows that it can restore T-cell function. Use of alpha lipoic acid along with low dose naltrexone can be very beneficial for the reversal of a several grave health conditions such as lupus, rheumatoid arthritis, dermatomyositis (an inflammatory muscle disease) and autoimmune diseases. Naltrexone (generic name) is a pharmacologically active opioid antagonist, traditionally used as a medicinal remedy to treat drug and alcohol addiction, usually taken in doses of 50mg to 300mg. It has been an FDA approved drug for over 20 years. But recently researchers have revealed that naltrexone when taken at very low dosages - 3 to 4.5 mg, has immunomodulating characteristics that may aid in successful treatment of cancer malignancies and a wide range of autoimmune diseases like rheumatoid arthritis, multiple sclerosis (MS), Parkinson’s,fibromyalgia, and Crohn’s disease. Low dose naltrexone is taken at bedtime which aids in blocking the opioid receptors for a few hours in the middle of the night. It is believed that this event results in up-regulation of essential elements of immune system by augmenting the body’s production of metenkephalin and endorphins (body’s natural opioids) and hence improving immune function. A growing body of research over the past 20 years signifies that the secretion of endorphins in body (endorphins are body’s internal, natural opioids) play a notable, if not fundamental, role in the functions of the immune system. Previous clinical evidence also indicates significantly that opioids modify the development, differentiation and function of immune cells, and both innate and adaptive systems are affected in this process. Fairly latest discovery of opioid-related receptors on immune cells increases the possibility that opioids have direct effects on the immune system. Low dose naltrexone for Multiple Sclerosis – An Italian neurological researcher treated forty patients who suffered from Primary Progressive Multiple Sclerosis (PPMS) with low dose naltrexone for six months. It was concluded that low dose naltrexone was not only secure and well-tolerated but also stopped the progression of the disease in all but one patient. A clinical study published in American Journal of Gastroenterology in 2007 revealed that low dose naltrexone therapy improves active Crohn’s disease. In addition to the diseases already mentioned, low dose naltrexone is most normally used for diseases such as hepatitis C, diabetic neuropathies, lupus, dermatomyositis, ulcerative colitis and other autoimmune diseases. It has also found to have a positive effect on children with autism and curing cancer. Other benefits of naltrexone are its low-cost and there exists almost nill negative side effects associated to those that are experienced normally with any pharmaceutical drugs. Inflammation is an innate immune response and can be helpful when used to ward off pathogens and repair the effects of injury. In other words, when a person receives an injury, the bodies’ natural response to that injury is inflammation. A person has to have inflammation when a wound occurs and the immune system goes in to cure it. Yet too much of inflammation in the body system can cause damage to the arteries and the body. When inflammation persists for long it becomes chronic inflammation and it is believed that chronic inflammation is the driving force behind some of the most devastating and deadly diseases infecting the humanity, including cardiovascular disease, diabetes, cancer and autoimmune disorders. Chronic inflammation also increases the risk of cancer, hypertension, heart disease, gastrointestinal problems and many other health conditions. Moreover, according to many anti-aging experts, inflammation is the utmost cause of premature aging, so preventing it is also imperative to look young. When an injury or infection occurs in the body, the cells liberate histamine, a hormone that augments the porosity of the walls of blood vessels. This permits fluids containing white blood cells and antibodies to inundate the affected area, where these immune fighters work as defensive barriers against the offending pathogen and work as healing agent to repair the damaged tissues. Sometimes when inflammation continues for a long period, it results in the collapse of healthy tissues. Inflammation that is there for short time has benefits associated with it; however, if inflammation continues over the long term, it can be devastating for the health and weaken the body's defenses against several degenerative disorders. Besides injury, lifestyle factors such as poor diet, lack of sleep and lack of exercise and emotional behaviors such as stress among-st others are believed to play a significant role in causing inflammation. Modern Lifestyle – The swift moving world has changed our lifestyle a lot and this changing lifestyle has been associated with high risk of several overwhelming diseases. The factors such as stress, lack of physical workout and poor diet have made public health miserable and prone to ailments. Stress & Loneliness - Stress wreaks disaster on the psyche and body. For instance, emotional stress is linked with higher risk for depression, heart disease and infectious diseases. Psychological stress often causes serious mental as well as physical health problems. A research team led by Carnegie Mellon University's Sheldon Cohen has established that persistent psychological stress is connected with the body losing its capacity to control the inflammatory response. The research published in the Proceedings of the National Academy of Sciences reveals that the outcomes of mental stress on the body's ability to control inflammation can encourage the development and progression of disease. As stated by Cohen, the Robert E. Doherty Professor of Psychology within CMU's Dietrich College of Humanities and Social Sciences - Inflammation is somewhat regulated by the hormone called cortisol and when cortisol is not able to perform this function, inflammation can get uncontrollable. Cohen argued that long-term stress impacts the effectiveness of cortisol to control the inflammatory response as it reduces tissue sensitivity to the hormone. In particular, immune cells become insensate to cortisol's regulatory effect. Consecutively, runaway inflammation reflects to support the development and progression of many diseases. When a person is under stress, cells of the immune system are not capable to respond to hormonal control and as a result produce levels of inflammation that promote disease. Besides stress, loneliness can also lead to serious health complications of its own. The human body acts to loneliness by compromising the functions of immune system. A latest study has uncovered that people who are publicly isolated have high latent herpes virus reactivation and more inflammation proteins in their body as a result of the stress of being alone. Reactivation of the latent herpes virus corresponds to stress which is an indicative of loneliness acting as a stress trigger resulting in a stressed immune system. Due to the same reason, herpes appears to be reactive very frequently in old age. Lack of Exercise - Making exercise a part of regular routine is one solution to decrease stress & inflammation but most people do not take out the time to do the recommended thirty minutes exercise for even thrice a week. Sitting jobs, watching television, and working on computer accounts for a huge part of inactivity. Including daily exercise regime to reduce inflammation can be as easy as going for a walk, gardening or even doing housework. Gluten - Wheat contains this gut irritants which consecutively leads to inflammation of the gut lining and consequently, leaky gut syndrome. A leaky gut can allow bacterial proteins and other toxic compounds to get in the blood stream, which can also lead to autoimmune attacks on the body. Choose alternatives like buckwheat, amaranth, millet, quinoa, sorghum, and teff. Refined Grains - They are low in vitamins, low in fiber and pack a punch of empty calories. Even worst part is that they have a very high glycemic index and they contribute to inflammation in your aging body. Lectins - Lectins are capable of harming the lining of the intestines, especially the microvilli. Lechins are present in many grains, fruits and vegitables especially in beans, wheet, rice, tomatoes and potatoes. There is much hype around lectins nowadays however, if you cook these foods thoroughly (which you would do usually) the lectin is lost from them and they are good to eat. That leaves fruits - Consuming fruits outweigh the negative effects that some of them may have due to lectins. Processed, packaged,or prepared foods – Additives such as preservatives and artificial coloring agents found in processed foods are poisonous to the body and should be avoided. Fast food atop the list of inflammatory foods due to the harmful oils, sugar and artificial sweeteners, food additives, and a whole lot of unsafe ingredients used to prepare them. These foods are also dagerously high on sodium which itself has been linked to cause autoimmune disorders recently. To know about ill-effects of sodium in detail please click here. Food additives – Some of the coloring agents, flavor enhancers, stabilizers and preservatives include sulfites, benzoates, and especially the colors named FD&C #”X” are uncommon to our body and hence lead to inflammation. Nowadays many foods consumed by children are full of these harmful, toxic ingredients. Synthetic sweeteners like Saccharin, Aspartame, AminoSweet, etc. are all unnatural and have many serious health conditions associated with them. Hydrogenated oils & Trans-fats - These are your commercial oils that you purchase for cooking. Hydrogenated oil is made by heating vegetable oil to over 400 degrees in the presence of an aluminum or nickel catalyst and bubbling hydrogen through the super-heated oil for about six hours to increase their shelf life without having them to be refrigerated. The process of hydrogenation distorts the molecular structure of the vegetable oil and produces Trans fats which doesn't fit in with other molecules in your body and disrupts the natural flow of things and cause inflammation. Corn, safflower, sunflower, cottonseed, and canola oil (unless cold pressed and sold refrigerated) are all hydrogenated. Fried foods – Foods such as french fries, onion rings, potato chips, nachos, hamburgers, etc do not provide any nutrition to the body instead increases body weight and cholesterol levels. Refined sugar and sweets - Recent research shows that sugar is one of the most addictive substances and is highly inflammatory. Beverages that are rich in sugar such as soft drinks and sweetened fructose juices should also be avoided. Poultry and Meat – These foods tend to cause inflammation and a plant-based diet tends to be much lower in inflammatory substances. However, wild or organic meat and poultry may not prove to be harmful. Reduce or eliminate the consumption of meat, particularly red meat and processed meat. Dairy products - Today’s dairy products are filled with hormones, antibiotics and other harmful ingredients so it is essential to avoid them as much as possible. Dairy products like ice cream, cottage cheese, butter and cheese are all inflammatory. Alcohol and Use of tobacco - C-reactive protein is liberated by the liver into the blood rapidly after the onset of an infection or inflammation. Constantly high levels are an indicative of chronic inflammation. Fair consumption of alcohol, that is, one drink a day for women or two for men, reduces C-reactive protein levels. However, consuming alcohol in excess can raise levels. Smoking triggers an immunologic response to vascular injury which is also related to increased levels of inflammatory markers, such as C-reactive protein and white blood cell count. Inflammation caused due to smoking of tobacco is the human body's natural response to an unnatural element that stops Leukotriene A4 Hydrolase (LTA4H) which is an enzyme. The body uses this particular enzyme to help with healing inflammations. When the toxic chemicals are inhaled while smoking tobacco, it releases inflammation inducing chemicals which in turn causes these enzymes to be blocked and incapable to carry out their respective tasks. Turmeric and Thyme – For over 4000 years, turmeric has been used as a conventional remedy to cure several ailments. Curcumin, the active ingredient in turmeric, is a great antioxidant and helps combat inflammation by dropping the levels of inflammatory enzymes in the body. Thyme is another ordinary culinary spice that possesses anti-inflammatory properties. Therefore, turmeric and thyme should be used extensively as an ingredient in preparing food items. Ginger - Ginger possesses remarkable anti-inflammatory properties. The anti-inflammatory compounds present in ginger which is responsible for considerably reducing inflammation are called gingerols. Researchers have discovered that these compounds are also responsible for reduction in pain and improvement in mobility for people with osteoarthritis or rheumatoid arthritis. Ginger can also offer advantage to people experiencing other diseases caused by or instigated by inflammation such as obesity, diabetes, Alzheimer’s disease, several cancer types and cardiovascular disease. Other herbs such as Black Pepper, Boswellia, Cardamom, Cayenne, Chamomile, Chives, Cilantro, Cinnamon, Cloves, Garlic, Holy Basil, Parsley, Nutmeg and Rosemary also hold strong anti-inflammatory properties. Vegetables, Fruits, Whole Grains, Fish and Spices – Diet including fruits and vegetables, whole grains, legumes, nuts and seeds are essential in fighting chronic inflammation. Diets that are commonly followed in Mediterranean countries are usually associated with lower inflammation risk. These diets include excessive amounts of fish, olive oil, nuts, fruits, vegetables and whole grains, which the western diet lacks. An anti-inflammatory diet is one that has low or no percentage of processed foods and high percentage of fresh fruits and vegetables, seeds, sprouts, nuts and super foods. Few more examples of foods that are anti-inflammatory are salmon, flax seeds, and pumpkin seeds. Eat fish instead of meat and use cooking methods, such as baking, steaming or grilling, rather than frying. Cook food in cold presssed unsaturated oils. Limit your salt consumption and use himalayan salt instead of refined salt. Super foods are becoming more and more accepted because of the great benefits they offer. In addition to supplying nutrients and balancing the body, they are normally extremely anti-inflammatory foods. Maca, spirulina, purple corn, wheatgrass, coconut butter and cocoa are a few of the super foods that are commonly used and also promote good health. Probiotics - Probiotics are the friendly bacteria that reside in your gut and promotes digestion. Without good gut bacteria, your body cannot absorb certain undigested starches, fiber, and sugars. It is also essential in protecting microvilli (lining of the intestines) from damage. Green Tea – Green tea contains antioxidants known as polyphenols. Some polyphenols called catechins can aid in reducing the inflammation of arthritis. Catechins also assist in reducing viral hepatitis which is a liver inflammation caused by a virus and also the inflammation of the intestines that is tied to Crohn's disease and ulcerative colitis. Consumption of green tea also may help avert gastritis, which is inflammation of the stomach. Olive Oil – Studies have revealed that compounds found in non-hydrogenated virgin and extra virgin olive oils can essentially suppress gene based inflammation. These phenolic compounds have shown to decrease the inflammation generally linked with heart disease, together with additional ailments associated to inflammatory gene production. Therefore, consumption of the phenol contained in olive oil can adequately reduce inflammation, lowering the likelihood of developing a heart ailment or diabetes. Omega 3 Fatty Acids – Chemical called Cytokines is liberated by white blood cells when there is an infection in the body. An excess of cytokines results in chronic inflammation. The omega-3 fatty acids found in fish oil reduces cytokine production and therefore, inflammation. It is also known for its stress reducing properties. Fatty fish, such as salmon, mackerel and sardines are best sources of omega-3 fatty acids.